Almost 2 million people have read the New York Times bestseller Wonder and fallen in love with Auggie Pullman. Last year listeners were given a special look at another side of his story with The Julian Chapter , and now they'll get a peek at Auggie's life before Beecher Prep, with a short story told entirely from the point of view of Christopher, Auggie's oldest friend. Christopher was Auggie's best friend from the time they were babies until his family moved away; he was there through all of Auggie's surgeries and heartbreaks, through bad times and good--like Star Wars marathons and dreams of traveling to Pluto together. 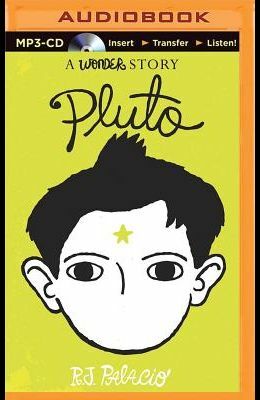 Alternating between childhood flashbacks and the present day, an especially bad day for Christopher, Pluto is the story of two boys grown apart learning that good friendships are worth a little extra effort.